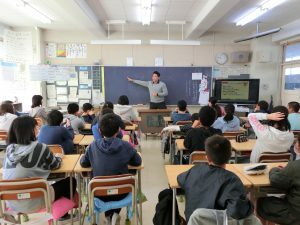 ASEAN-Japan Centre conducted a school-visit to Namiki Daiyon Elementary School. 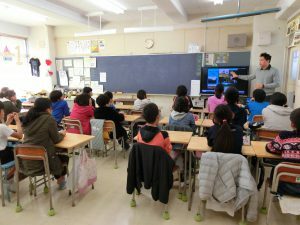 In the school-visit program, Indonesian national living in Japan introduced his home country to the 6th grade students. The lecturer conducted the class in a way that would make the students feel like they are traveling to Indonesia; to start the class, the lecturer introduced the in-flight announcement and showed photos of landscapes of Indonesia seen from the airplane. The lecturer then presented the class tourism destinations; the students also learned some phrases in Indonesian and about religion that are useful when traveling. The lecturer further shared with students an Indonesian folktale related to mountains and his personal episodes with animals in the ocean. Many students commented that they would like to visit Indonesia one day.